Best buy to sell HP Tablets at Throwaway prices – 200,000 left to Sell! If you are looking to buy a tablet at throw away prices, the time is just right. Best Buy is reported to be sitting on a stack of 200,000 HP Touchpads and wants to send them back to HP. However it is reported that HP might not be willing to take back the stock forcing Best Buy to sell these tablets at throwaway prices. 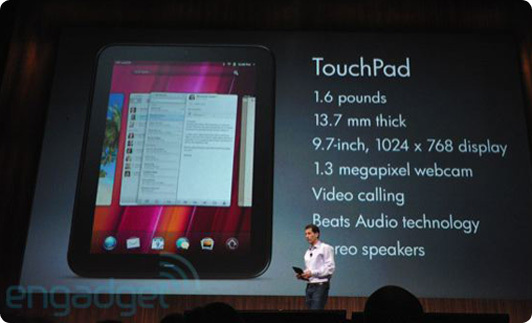 According to Allthingsd, Best Buy stocked its warehouses with around 270,000 HP Touchpad tablets. However, the retailer has been unable to sell the devices and has sold at most 25,000, even with a $100 discount. In fact, things are so bad that HP EVP Todd Bradley might have to go to Best Buy’s headquarters and plead with executives to be patient. The Touchpad is suffering from poor sales in US retail stores, with Wal-Mart also thought to be unhappy. Last week, HP slashed the prices of its WebOS Touchpads in the US, cutting the 16GB Touchpad price to $450 and the 32GB version to $550.At the moment UK retailers are still sticking to the £399 price tag for the 16GB Touchpad, while a retailer at Amazon is offering a 32GB Touchpad for £422, though most other places price the 32GB unit up around £480. HP Slashes TouchPad to $99! Previous Bill Gates Working on Reinventing The Toilet!